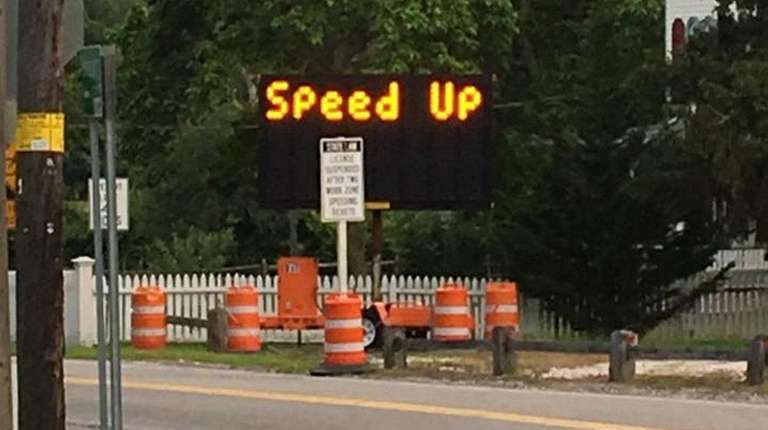 An electronic road sign in Yaphank was changed to read “Speed Up” over the weekend, photos show. 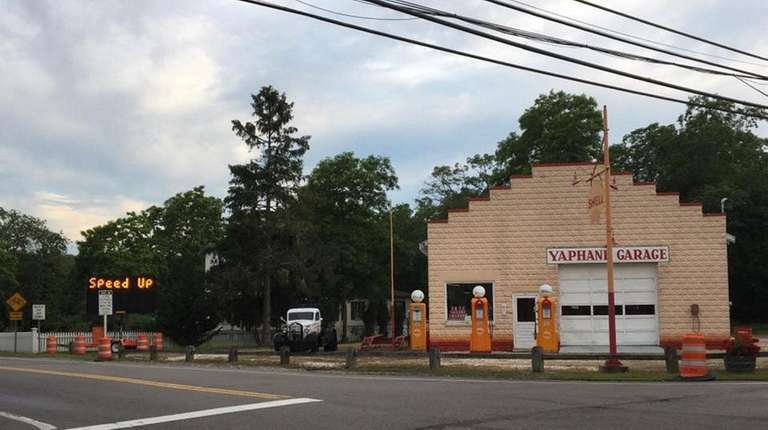 The sign, located near the intersection of Yaphank Avenue and Main Street, appeared to have been tampered with over the weekend, according to Lenny Sinacore, of Shirley, who said he saw the sign Saturday night. The sign’s location at the time was roughly a mile from Suffolk County police headquarters. The sign is owned and maintained by a company that has a New York State Department of Transportation contract for a project nearby, according to a DOT spokesman. The DOT alerted the company about the sign and the message was “immediately corrected,” the spokesman said.